The Kylin Mini RTA is the first product from Vandy Vape Seven Report has looked at (they also sent the Pulse BF Box Mod, and the First Look at that product will be coming soon). 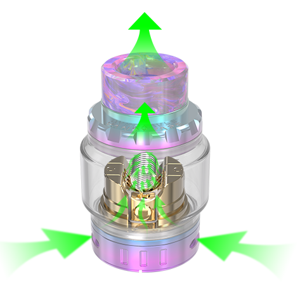 The Kylin Mini ships with a 3 ml glass tube installed and 5 ml bubble-style tube in the package. It also includes 2 drip tips and an accessory bag that includes O-Rings, a screwdriver, Allen wrench and a pre-wrapped coil. 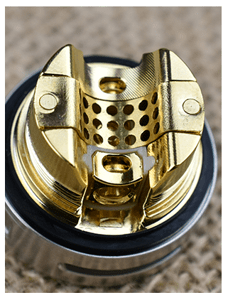 The build deck is a single coil unit and includes what Vandy Vape refers to as 180 honey comb airflow design. The tank also has adjustable airflow controlled via the collar at the bottom of the unit. It’s a top filler with a screw off top cap. To be honest, I’m not much of a re-builder. But attaching the coil that Vandy Vape included was pretty easy, I simply clipped a little of the wire and attached it to the deck. Wicking the coil was fairly easy as well. I used Kendo Vape Cotton and filled the tank with Lemonade Stand Orangeade ejuice from VML. I put the Vandy Vape Kylin Mini RTA on the Kangertech Pollex mod. With the adjustable airflow opened about half way I set the Pollex to 60 watts for a first vape. The Pollex was reading the coil as 0.27 ohm. Vapor production was decent and the flavor was good. I upped the wattage to 75 and both vapor and flavor production were much better. Next I opened up the airflow to about 90% and noticed a little increase in vapor. At 85 watts the flavor popped a little more but the vapor was noticeably warmer. At 80 watts the vapor was tad cooler, but I think the sweet spot was 75 watts. Overall this First Look was very impressive. Again, I’m not much of an RTA vaper, but the Kylin seems like it’s a good choice for someone (like me) who’s just getting into doing their own builds. 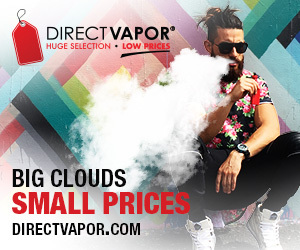 Vandy Vapes partner retail website, MyVPro.com, offers the Kylin Mini RTA for $38.99. It’s available in silver, black, gold and rainbow. I’ll be using the Vandy Vape Kylin Mini RTA extensively over the next week or so and then will post a full, in-depth review. Follow Seven Report on Twitter and Facebook to be notified when that review is live. Vandy Vape provided the Kylin Mini RTA for a Seven Report review. Get more information and order here.